Summer is almost over and it’s time to look back on the memories we made and to even get a reward for doing so! 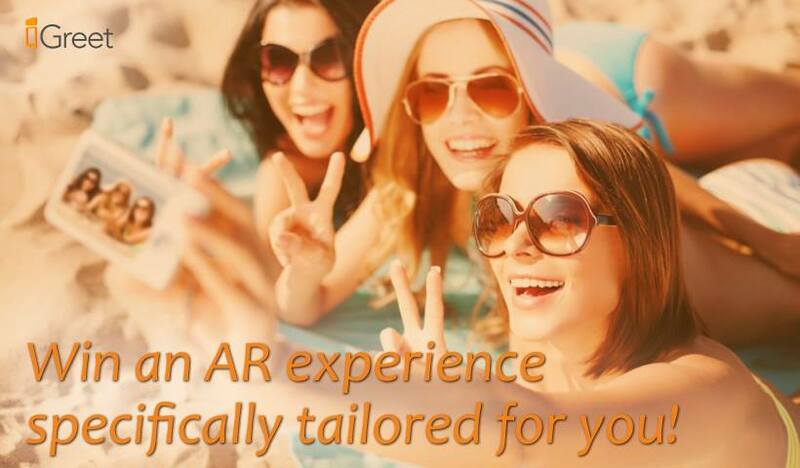 iGreet’s new contest is now open for submissions – share your best summer photo or video and you’ll have a chance to win an AR experience tailored specially for you! It can be a photo of you on the beach or a video of you hiking in the mountains. A selfie with your friends or a clip of pushing someone in the pool. Simply share your photo or video on our Facebook page. Submissions will be accepted until September 25, 2016. Two of you will win – the photographer of the picture with most Likes and the owner of the picture our team finds most inspiring. Winners will be announced on September 26. So, what was your best moment this summer? IMPORTANT: iGreet’s team reserves the right to disqualify entries that the team deems inappropriate in any way. This entry was posted in iGreet contests and tagged AR experience, augmented reality, contest, greeting cards, igreet, win.